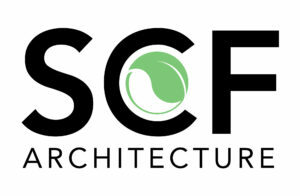 SCF Architecture, LLC, is an architecture firm specializing in commercial and residential projects. We aim to provide down to earth, context-driven, environmentally-friendly architectural services meeting our clients’ needs. We aim to collaborate with all parties involved in a project – from the Owner, to the Engineering Consultants, to the Construction Manager, to the Code Enforcement Officials, to the Contractors – encouraging clear communication and a team effort. SCF Architecture, LLC, provides design services for environmentally friendly buildings and renovations, specifying products and materials that have as little impact on the planet, the people building the projects, and the end users as possible, within reason, and within budget constraints.